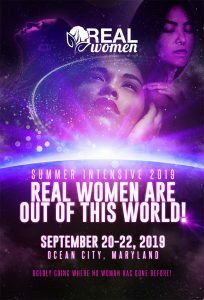 REAL Women is elated to invite you to our Summer Intensive! Aren’t you tired of being held to the standards and expectations of others? Have you ever felt there was more to you and to this life but you were afraid to venture out of your normal routine to discover it? Well, it’s time to disrupt your norm and catapult you into the stratosphere you’re designed to inhabit! You are only restricted by the limitations you place on yourself. Join us for three days of boldly going where no woman has gone before! 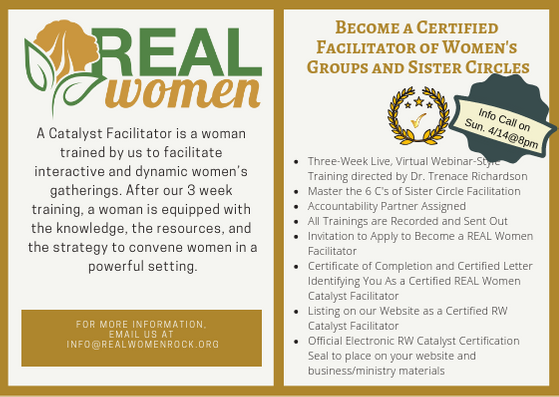 * Become a CATALYST of positive change in your own life and the life of others around you. * A Special Evening Session for ALL Access Members ONLY!